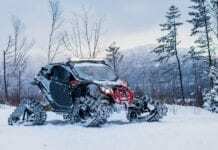 2015 Honda Fourtrax Foreman Rubicon. Manufacturers invest astronomical sums in auto racing championships. 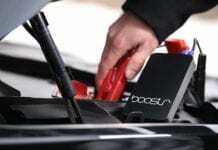 Their stables help them develop technological advances that are then transferred to standard cars. Honda is no exception to the rule and does not usually follow the crowd. 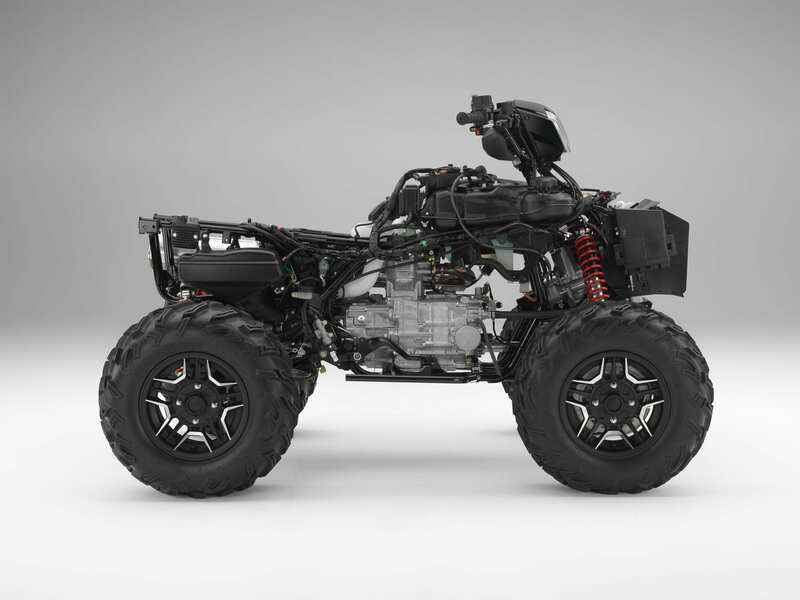 While most quad and ATV manufacturers use a continuously variable transmission (CVT), Honda goes it alone by adapting the DCT transmission, which already proposed to the automotive industry ages ago, to some of its motorcycles and quads. DCT stands for Dual Clutch Transmission. In fact, it’s an automated automatic transmission that makes it easier to drive. How does the DCT work? This transmission needs no clutch command or foot-activated speed selector. It consists of simple switches located near the left hand. All the driver has to do is upshift or downshift the gears using his thumb. Moreover, this entire process works without releasing the accelerator handle. Everything that I mentioned above is done in manual mode (electronic shift mode or ESP), which could be described as semi-automatic, but the quads equipped with this transmission also have an automatic selection button (auto). In other words, the ratios are managed by a microprocessor that assesses driver and vehicle behaviour to determine the exact moment to switch gears so the driver only has to shift up or down once. 2009 Honda FourTrax Rancher AT with Electric Power Steering. The DCT gearbox does not use a clutch lever or a foot-activated speed selector. However, it does have a selector drum and selector forks. These are activated by a servomotor with electronic controls. In the transmission housing, two shafts work in harmony, the one managing the even-numbered gears, the other the odd-numbered gears. One shaft is housed inside another, and that’s why we talk about concentric shafts. 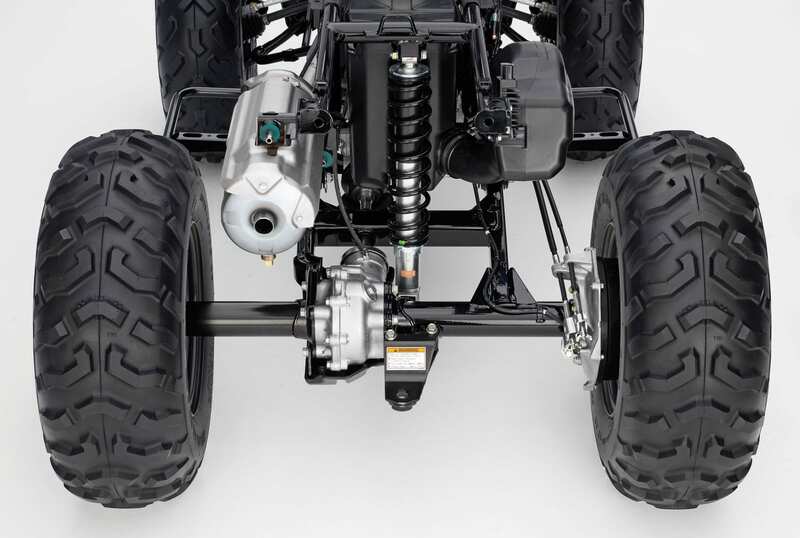 For example, during acceleration, the drive shafts transfer from one gear to the next without interruption. When a gear is engaged, the next gear pre-engages, and so on, to ensure rapid, smooth, and jerk-free acceleration with no loss of power. The principle is the same during downshifting. One of the reasons mentioned by Honda for allowing gears to be selected in manual mode (ESP) is that it allows the driver to select the right gear when towing something or climbing a hill. 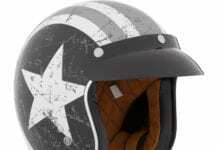 The driver can select the gear of his choice to get the power needed to the wheels. This DCT also achieves optimal fuel consumption, for acceleration is almost always in an upward straight line. This smoothness is a definite advantage for the passenger, for he remains unaffected by any jerking movements during each gear shift. 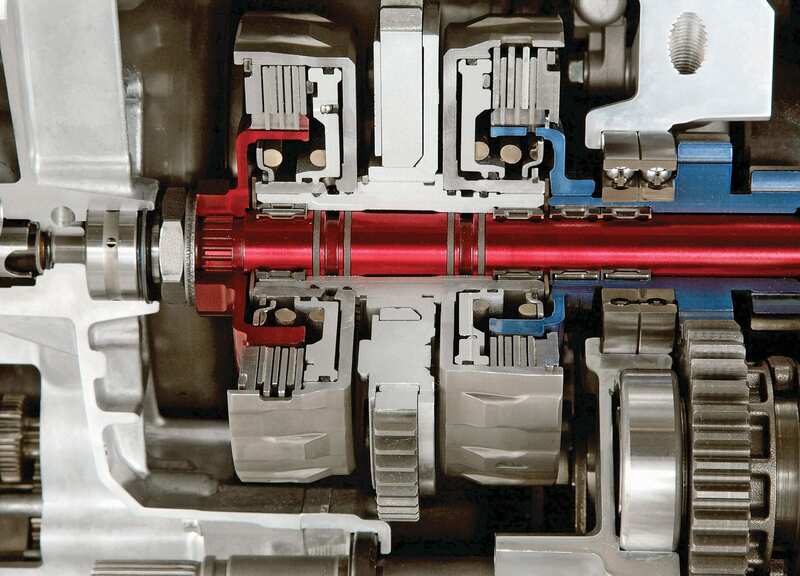 This transmission is an advantage that even beginner riders should consider, as it simplifies driving. Automatic mode is clearly highly appreciated when driving on a trail, but when the situation allows, the manual mode is advised for better traction when hauling a load or when climbing. In fact, the DCT transmission allows the driver to adapt his vehicle to the environment in which he finds himself, or simply according to how he feels. The driving is smooth and has the ultimate advantage of having no belt that needs replacing. 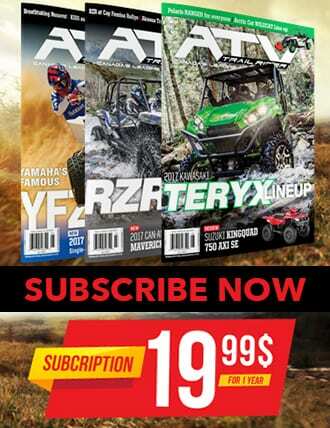 The dual clutch transmission (DCT) is offered on the following Honda vehicles: the TRX420 Rancher and the TRX500 Rubicon. It has 5 speeds in the “fast” range and just as many in the “slow” range. In the ATV category, the Honda Pioneer 1000 comes with a DCT. The variant, in this case, is in the speed selection. Contrary to the quads, upshifting is done using the paddle selectors behind the steering wheel. Upshifting is done on the left side and downshifting on the right side in manual mode. 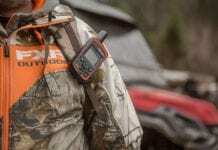 The Pioneer 1000 has 6 gears, whether in manual or automatic mode. 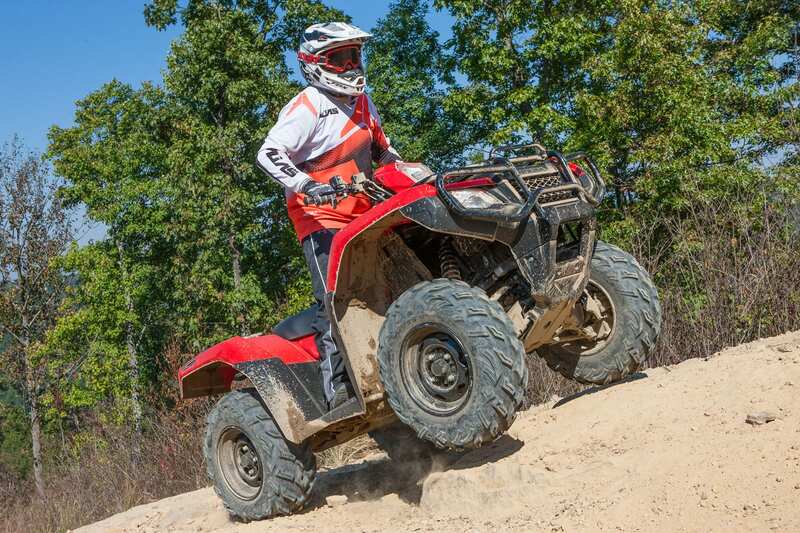 With the DCT, Honda is offering a new way to ride quads. As part of its mission to adapt technology, Honda helps us to configure our quad according to how we feel at a particular moment, and that is a beautiful innovation!